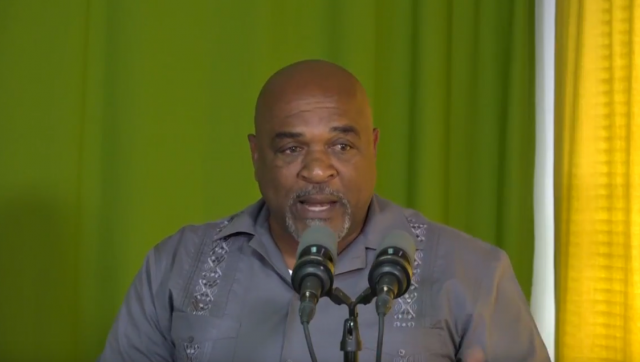 Deputy Prime Minister of Dominica and Minister for Agriculture, Food, and Fisheries honorable Reginald Austrie told farmers and vendors at Market Day with a Difference in Portsmouth, that they must be willing to learn about new techniques, new opportunities, and be willing to absorb information disseminated to them. He said persons must position themselves. He said farmers and vendors must make time for tomorrow by learning new techniques in order to sustain themselves and their livelihoods. Minister for Agriculture, Food, and Fisheries honorable Reginald Austrie. Austrie told the listening public that there is $EC65 million at stake for the farmers under the World Bank project with many of this money to be in the form of grants.